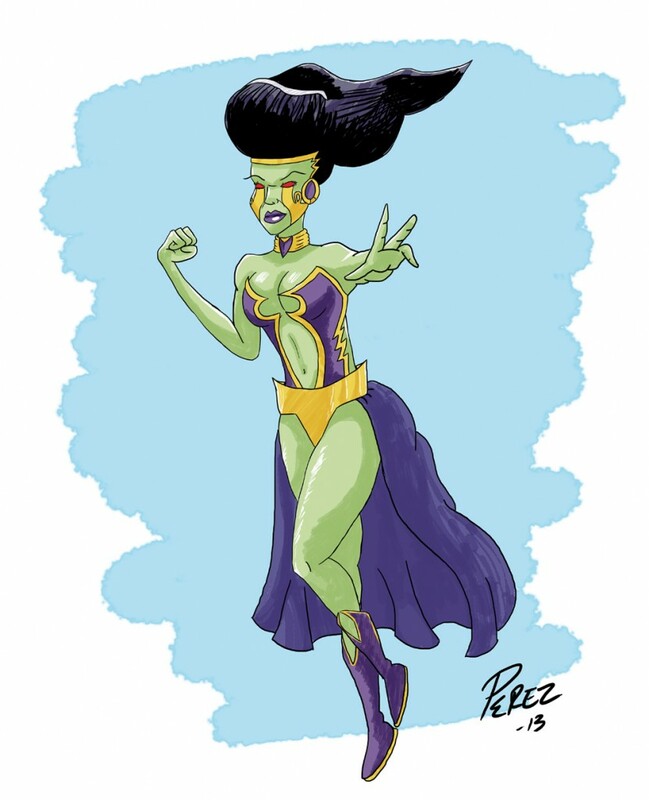 SuperFogeys - Fan Art: Zurida by Roland Perez! Fan Art week kicks off with this FIRST Zurida fan art by Roland Perez! He really captured her design wonderfully. Thanks, Roland! I’ve heard whispers of more fan art coming my way. I can guarantee at least one piece from me–a design for a brand new villain you’ll be seeing in the strip soon (okay, that’s not technically fan art, but still…) If you would like to submit to Fan Art, please send along what you got to me at bwhheasley (at) gmail (dot) com.